Sorvall Superspeed SA-600 Centrifuge Rotor 17000 RPM Max 12-Place 50mL Tube . New Life Scientific, Inc. 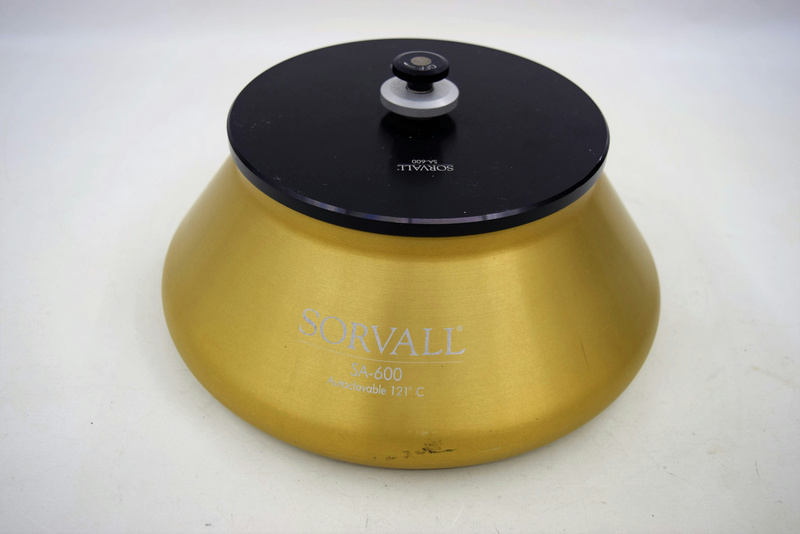 This Sorvall fixed angle (34º) rotor is formed aluminum that can operate at high speeds in several Sorvall floor centrifuge RC models. It is rated up to 17,000 rpm and 41,837 RCF, but individual operating instructions should be consulted for your specific centrifuge model. It has 12-place slots that hold 50 mL tubes and the cavity dimensions are 29 x 108 mm. Feel free to contact our customer service for details or request that they redirect you to the manufacturer's online datasheet.